I realize that I'm spending an awful lot of my time just listening to things. That's something I picked up "seriously" maybe three of four years ago when I discovered podcasts. I was already spending quite some time on Youtube but I used it as a video platform, not an audio one. I later discovered (listening to podcasts) the world of audiobooks and it helped me read more. So as I spent time picking and choosing what to listen to, I will engage in some sort of an ego boosting endeavour by presenting to everyone what I listen to and why. So here goes, be aware that this post will be a listing, just look at what seems interesting to you. You may be wondering what is going on with podcasts, audiobooks, youtube, and that's a good question. There is one thing that always come back when discussing the interest of listening to things: it helps pass time doing boring things (commute, dishes, workout, cleaning...). In fact, that's a really good way for me to be motivated to do chores as it become a way of learning things. There is also a more personal reason: I don't like silence but I don't particularly like to listen to music when doing something else. I listen to music at concerts or when working, but when working, i'm not really listening, that's just a way to stay focused and I could do with music as with mountain wind sounds. So listening to people talk is good for me. First, I'm using Android and Pocket Casts for most of my listening time. 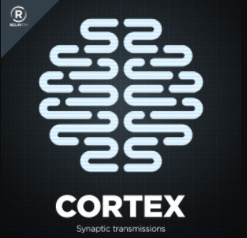 I tried some other podcast apps before but I stayed on this one because of its care for the Android Platform, its design and the ability to boost audio inside the app (a feature I love because I use subways a lot and they tend to be noisy). For some stats, to prove that I think myself qualified to talk about this audio format, I've listened to 31 days and 23 hours of podcast since the 5th of June 2015. A little calculation, it's more than 4% of my time in these two years (wow, don't do these kind of calculations). I listen to all my podcast at 120% of their speed though and I skipped 2 days and 3 hours of that time with this feature and another day and 10 hours byt removing silences (another feature of the app). I don't know if I need to substract theses days from the total. But hey, I listen to a lot of podcast ! So I think that the 3$ I paid on this app are the most well spent on an app. I can't remember all the podcasts I listened to over the years but I currently have 15 of them in the app at the moment. Let's explain why I do for each of them, by categories. They're all findable on most podcast apps and I think they all can be listened to on their websites if you want to try them out. A really recent show that talks about its title: little things that shouldn't be interesting but are anyway. Office plants management, conflict resolution in the US senate, how to wipe a virus off the earth... Each episode is a quick listen (meaning less than 30 minutes) about something you probably never thought about and I love this kind of subjects. Science VS is more of a gentle debunking show. A sort of review of the scientific knowledge about cleaving subjects (abortion, climate change, gun, immigration...) and lighter ones (chocolate and wine, acne, G spot). Each episode is based on the same pattern: what are the common views or doubts about a specific subject, what do we know about them (with interviews of scientists) and a recap at the end for each starting statements (true, false, don't know (yet)). Around 40 minutes for each episodes, a bit of humour in every one, a great show to challenge your views and start discussions in my opinion. Keep in mind that science vulgarization can be biased and take informations as a starting point if you want to know more or if you want to use what you learn in debates though. A show about dogmas and skepticism, mostly about theology but sometimes politics and science. The host is an open atheist that challenge listeners about their theistic views of the world. I like it because the host, despite being an outspoken atheist, is constantly trying to have an open mind when challenging his guests. His goal isn't to destroy or debunk but to have discussions on the subject, and for the most part, these discussions are calm and interesting. I have an interest on the subject of theism for, I think, the same reasons of the host of this show: I'm an atheist, I have reason to be but I want to know if these reasons are any good. If someone can present arguments for the deist of theist view that can convince me, I want to know them. This show is the only one I'm paying for at the moment and it's really quite long. Some episodes can be around 4 hours so I don't recommend it if you're not into the subject. In the same vain as the previous one, this show talks about atheism, religion and other political and cleaving subjects. Like Dogma Debate, the host want peaceful conversation with his guests and try to understand them. This one is often shorter though, often between 30 minutes and an hour. It's another take on the subject. 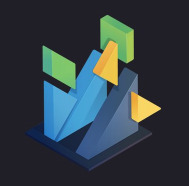 A podcast, the podcast maybe, about Elm, the programming language that have most my interest for the moment. There is no specific theme for the episodes except for a series about the history of Elm with the creator of the langage. The other episodes are about inviting guests, asking them about what they're working on a the moment and talking about the language, the discoveries, how to learn it... A good listen if you're interested in learning more about Elm. Each episode is about an hour long. A show about functional programming people. I'm currently listening to this show from the beginning and still behind ~70 episodes so it may have changed but I like the fact that the host, Proctor, just invite guests and let them talk about what they know and did. It can be overwhelming at times but it's often a casual discussion about their work, their history and questions about specific part of functional programming. 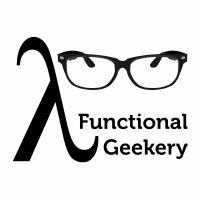 Every episode is around an hour and if you are interested in the history of functional programming or the views of the known folk in the domain, this podcast is for you. A show about React, in 30 minutes, hosted by the creators of React Router. Unfortunately, this show is paused but I'm still keeping it, hoping they will find motivation once again. Another sadly paused podcast that I hope will come back (but you can still listen the past episodes). 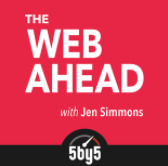 This one is hosted by Jen Simmons and talks about the web technologies, accessibility, design... Sometimes she talks about a subject, sometimes there is a guest to do that. Each episode is contained to one subject in particular and that's always interesting to hear. A little more than one hour by episode. A show about two guys explaining how they do their work as if it was a casual lunch discussion. Something of the sort anyway. I like this show because I like learning how systems work and CGPGrey (a youtuber becoming podcaster) and its work method was the subject in the beginning. But the podcast grew and it is now a periodic show about how they manage their day to day work and how they try to accomplish the most work in the less time in order to play videogames. It's really hard to describe without sounding boring but they talk about their configurations, their way of organizing app on their phone, their multi ipad lifestyle, email apps... I know it doesn't sound remotely interesting but I find it highly entertaining and sometimes useful to get a grip on my own productivity. No the best podcast but I keep an eye on the GTD method for dealing with my day to day tasks. I tried to use the method, I read the book, I'm still not convinced it's good for me but there is good ideas in the podcast. They mostly are 30 minutes episodes and I think you understood by now that I think that it's really a quick listen for me. This podcast is a good way of discovering the Getting Things Done methodology though if you're interested. Another podcast with CGPGrey, co-hosted by another youtuber, Brady Haran (videos about science and mathematics). Another hard to describe podcast. They talk about things they find interesting, sometimes tv show or movies they went to see (Star Wars is a compulsory topic). Brady, being a former journalist, try to add news and sport to the podcast, often against the will of his co-host. This podcast is an entertaining way of passing time and even though I can't really describe it, I really enjoy it. It last from 1 hour to maybe 3 hours, there is really no schedule for it. 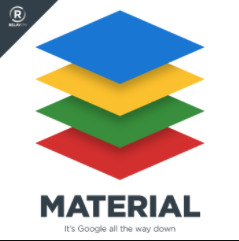 This show always start with it's baseline: "A show about Google and the Android universe" and I think that's really the best way to describe it. Three co-host: a tech columnist, the creator of Pocket Casts and a UX designer talks about the latests news in the Android ecosystem. I listen to it to keep up to date with my phone and often discover things I didn't know about Android. It is an hour long show (most of the time), it's interesting only if you like listening to google fans talking about google products. And another one that I can't really describe. It's a show about things that relates to the internet. Often weird things. Just give it a try, it lasts around 30 minutes and some episodes are great, some are good, few arent interesting. You'll learn that there is a guy that makes a living creating a song a day and posting them all to spotify, another by having an album with absolute silence and asking people to listen to it while asleep. You'll learn about a family that is often attacked because their house is in the middle of the USA and their house is the default location for thousand of IPs so they're often marked as the point where lost phones are. It's that kind of stories. A show about what it is like to launch a startup. The first season was about the launch of the Gimlet Media company, the company that produces a lot of podcasts that I presented there. The goal is to follow a start-up creator and be in the inside of the lows and the high. It's really well crafted and, even though you know there is a lot of work to make it compelling stories and not just a crude version that could be more informative, I think it helps unerstanding the american startup thinking. Episodes are about 30 minutes long. I discovered audiobooks during an add for Audible in Hello Internet and I have been using it for two years now. Basically, if you read english book (their french catalogue is not that great for the moment), you can have them read to you and sometimes by the author. I use their gold membership account (14$ a month) to have one book per month for "free" (let's not think it is really, you're just paying 14$ for one book each month). And even though I don't always manage to listen to one per month (I am listening to a lot of podcasts in parallel), it's quite a good deal for me. Some books are really longer than other (the range is from 4 hours to 30 hours for those I read) so I can keep up the pace by alternating between them. I mostly listen to non fiction books (Trust me, I'm lying - Thinking fast and slow - The Art of procrastination ...) but I occasionnaly listen to fictions (The chronicles of Amber, and I have the Hitchhiker's series downloaded on my phone). I will say though that I don't pay as much attention to the content of the book when I listen to it than when I read it. But it's a way of reading more and I would probably not have read them anyway, so that's a definite win for me. And voilà, I'm sure it will be interesting to see in a couple of years to see what I still listen to and if I still agree with myself in the future.